I LOVE Kate Bush. She is a unique artist that balances experimental approach and true talent with accessibility and pop hooks so well that I truly think all of her albums can be enjoyed by most music lovers. However, The Dreaming is still a very special offering in Kate’s catalogue, because this is where she REALLY sets her creativity and her typical brand of weirdness loose. So yes, this record definitely leans towards Kate’s experimental side, and that’s exactly what I love about it! To be fair, “experimental” isn’t really the word here. 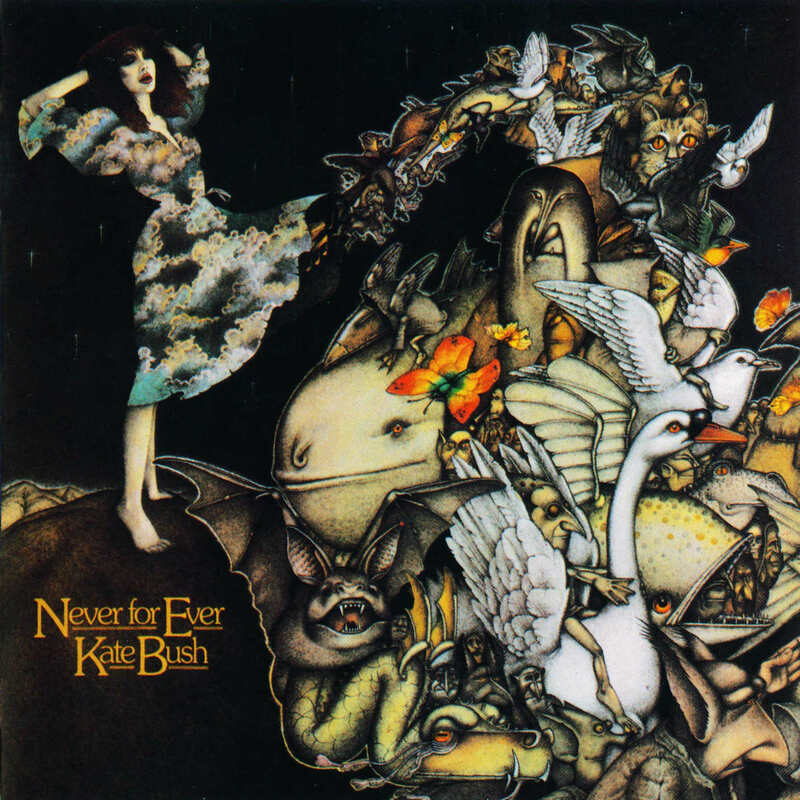 This is still Kate Bush, not Nurse with Wound or Captain Beefheart or something. So most of the songs stay within “normal” and accessible melodic frames, except of course only Kate could actually come up with THESE melodies: they are perfectly accessible, but they are… unconventional, to put it mildly. On this album you really get the feeling she had a ton fun with them, letting herself do whatever she wanted. Kate’s vocal range is another thing that’s totally let loose – hear that woman scream, pant, harmonize, sing in her normal voice, sing in an exaggerated theatrical manner, sing in a high-pitched voice, sing in a comically low “baritone”, whisper, record her vocals backwards and so on, and so on – sometimes within the same song! The instruments and arrangements are VERY unpredictable too – sometimes you suddenly hear synths coming out of nowhere, sometimes gorgeous strings appear, or scary basslines, or murky percussion, or Irish violins, or a pounding drum-machine – welcome to Kate Bush’s flying circus! Overall, this album is nowhere near as balanced and thought-through as Hounds of Love, not at all as melodic as The Kick Inside, not as mysteriously romantic as Never for Ever and not as… well, as sensual as The Sensual World. Instead, this is Kate’s “crazy” album, where you get all her split personalities at once in one package. That alone, for me, is worth naming this my favourite album of 1982. If you have a past in pantomime (so you know how to move elegantly), and you write your own material and you possess a very distinctive voice, you must be David Bowie. Oh no, you’re an 18 year old in 1978 and you’re an intelligent nice looking girl: you must be Kate Bush! And so she is. A few years before a second wave of successful female singers (from Madonna to Cyndi Lauper) started to manifest itself, Kate Bush hit the world with a bang. Some say she never recovered from the instant success of Wuthering Heights. I say she knew how to create and follow her own path. Like Peter Gabriel or Robert Fripp, Kate Bush is ‘ready, willing and able’ to change course for artistic reasons, and to not repeat a successful formula if she feels she might get stuck. So from her somewhat humble folky singer songwriting beginnings (albeit with some symphonic stuff, such as Wuthering Heights), in a few years’ time she moved in a prog rock and avant garde direction. She would top this on The Dreaming (before moving on to an easier sound with some great video clips) but on this album already we hear the singles Babooshka and Army Dreamers (and other songs, like All We Ever Look For) getting progressive touches and weird sound effects. Getting out of the mainstream is the goal here. But ultimately it’s all still very listenable. It’s difficult to understand how a 20, 21 year old can make this music and succeed. She has found her sound and performs in a convincing way. All the songs have something to offer: Egypt sounds more Asian to me than middle eastern, just like Delius (in parts), and they’re both nice songs. The Wedding List sounds even better, starting slowly and gaining in intensity considerably. Violin is her Nina Hagen song, not really my favourite. The Infant Kiss is sort of The Man with the Child in His Eyes, part 2. Breathing is truly epic, using the in – out chanting to great effect. And Pino Palladino on fretless bass (I assume it’s him, don’t want to look it up) sounds great. This is simply an amazing record and an early highlight in the career of a very interesting artist. The first impression that I got when “King of the Mountain” started was “this sounds like a slightly nuttier version of Peter Gabriel”. But that’s an oversimplification. Yes, it has the expected belabored programmed backgrounds and synth sounds, and her vocals still have that edge that sets her apart from your typical female pop-rock singer. It also has several traditional sounds that are very welcome in an album like this. For example, in the opening song, after the first chorus the listener runs into a rhythm guitar that, not only has a decidedly retro sound but is mixed much higher than guitars in contemporary pop usually are; I think that the relative level of the guitar in the mix is as responsible as the tone, if not more, for the “Sixties” vibe I get from it. The contrast between this guitar (mistakenly described as “reggae” throughout the Internet) and the 80s rock drum sound is interesting. But sonic variety works also in a macro level. For example, “Pi” also has live drums but this time they sound like prog rock drums, which alongside the acoustic guitar, bass synth and pulse-wave shaped keyboards (a la “Won’t get fooled again”) should sound like a Seventies throwback… but it doesn’t. And throughout the album? We get Renaissance flavourings (“Bertie”, which is by the way Kate’s son and the reason why there was a large time gap before this album; the inspiration is worth the wait). We get piano ballads. We get guitar-based, New Wave-ish pop (with bouts of funny noises). We get electronica-influenced backdrops. However this is not a simple exercise of style. Apart from all the art song trappings the album features genuinely moving melodies, sung expressively, and idiosyncratic but heartfelt lyrics. Who else would write a poignant piano ballad from the point of view of a housewife daydreaming while washing a load of clothes? (“Mrs. Bartolozzi”). Or a song like “Pi”, which seems to be about a mathematician (or maybe an autistic savant? ), set to a rhythm that paints a vivid picture of the protagonist dancing, alone, oblivious to everyone, in his room with the decimal figures running through his brain? Or a song like “How to be Invisible” which you probably have to live inside Kate’s head to decode any metaphors and hidden meanings, if there are any, that is? After the incredible stretch that spans from “Pi” to “How to be invisible”, “Joanni” seems to me a relative letdown, but “A Coral Room” is starkly beautiful, not as instantly memorable as the rest, but a grower and a suitable conclusion to the first CD. Ah, I didn’t tell you this was a double album? Well, what would you say if I told you the second CD consists of a single piece? Actually “A Sky Of Honey” is a kind of a suite comprised of individual linked sections. Shades of “Thick as a brick” or “A Passion Play” here (actually, like the latter, the different sections have their own titles, and the first CD edition had them indexed separately; the reissue just has it as a single 40+ minutes track under the title “An Endless Sky Of Honey”). From what I’ve read elsewhere, the suite just describes a day of leisure from beginning to end. Hardly the most epic of subjects, but domestic bliss seems to be one of the main themes of the whole album, and Kate tackles the subjects she wants to tackle, and who am I to object. Sonically, this second CD is less varied than the other. Not only that, while the concept is interesting, the actual execution is, if any, more conservative than in the first CD, with several segments that sound like Eighties flashbacks. “An Architect’s Dream” in particular sounds like a textbook on how to sound like 80s Top 40 pop (you know – the synth pads, the DX7-type metallic lead synth lines, the programmed congas, the fretless bass, the so-low-you-cannot-hear-it acoustic guitar; the works). Most of the music passes by at an easy slow to mid tempo, but it kind of accelerates towards the end; the final sections range from “Somewhere in between” (a moderate pop piece with a very good and agile vocal melody in the chorus) to the lite funk of the (deceptively named) “Nocturn” and the unrelenting four-on-the floor of “Aerial”, complete with a bizarre laughter section and an unexpected epic guitar solo. Both of those are also sections which could have easily come from a 80s record, and in the case of “Nocturn” it might be not even a 80s Kate Bush record, but a 80s Fleetwood Mac record at that. Apart from those, the only section where it picks up the pace is the second half of “Sunset” which is arranged in a rumba flamenca style. Kudos for the effort, although with the preprogrammed handclaps and shouts it sounds more than a little inauthentic. That “Sunset” segment, however, might well be the best part of the entire cycle; at the beginning the backing is an unobtrusive but lilting jazz-lite, the vocal melody is memorable both in the undulating “sea of honey (…) sky of honey” phrase and in the pixie-like end of the verse, and if you’re willing to forget its plastic qualities, the ending rumba is a suitable finale. To me, maybe the most memorable purely musical hook in the suite is the four-chord piano riff that forms the basis for “Prologue” – which despite the name is a full-length song. Not everything is; apart from the short instrumental “Prelude” there are a couple of short “links”; of those, “The Painter’s Link” is interesting with its guest spot for Rolf Harris’ vocals and the uplifting choir of Kates. 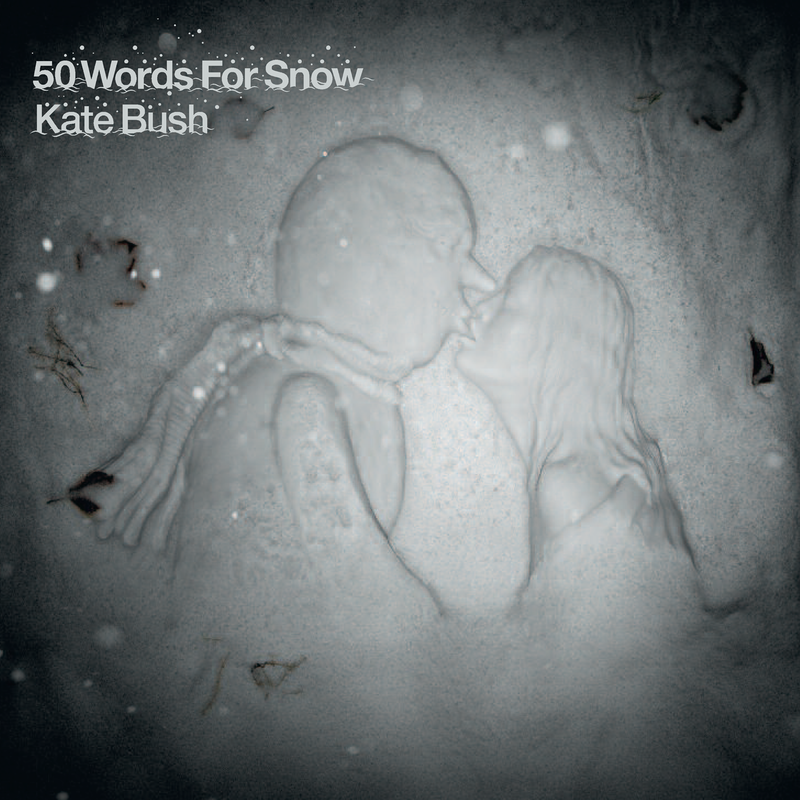 In summary, this is not a groundbreaking Kate Bush album, but it is more or less on the same level as her classic material. Which means it is highly recommended if you like your music non-trivial, artsy but not self-consciously “difficult”. If the middle of the road was as well-crafted as it is here, everybody would want to run through it. On a personal note I have been haunted for days by the main keyboard riff of “Pi”, which, by virtue of whatever strange neural connections I have in my brain, insists on being merged with the coda of Dire Straits’ “Telegraph Road”. Weird thing, the human mind. 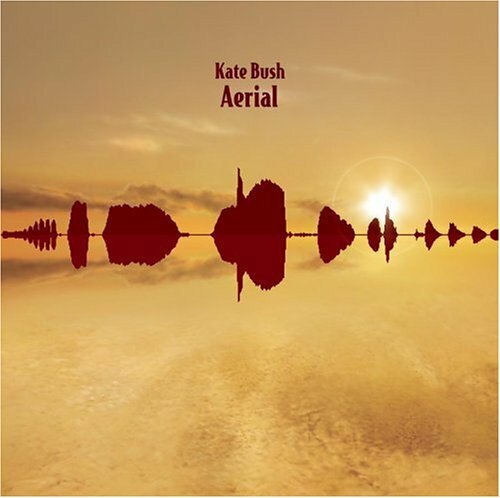 Which is fine by me as far as it can produce works as good – and as needed in the comparatively barren landscape of the post-millenial musical world – as Kate Bush’s “Aerial”.